Your car is likely one of the biggest investments you have, and you can make sure it lasts you as long as possible by following this auto maintenance checklist from your Chrysler service center near North Myrtle Beach. Get an oil change. – The most basic aspect of auto maintenance is getting an oil change, which for most vehicles should be done every 3-5 months. Do brake maintenance. – If your brake pedal is feeling soft, it’s probably time for brake maintenance. Get a brake fluid flush and a car brake inspection to see if it’s time to get replacement brake pads. Get your tires rotated. – TIre rotations every several thousand miles can help significantly extend the life of your tires. Get your wheels aligned. – Enjoy safer, easier driving and better vehicle performance by getting a wheel realignment, so that your car steers straight and true. 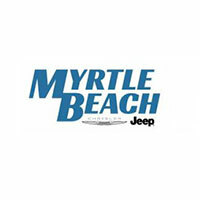 Get Your Vehicle Serviced Near Conway at Myrtle Beach Chrysler Jeep! Enjoy fast, affordable, and experience auto maintenance near Surfside Beach with Express Lane service from the certified technicians at Myrtle Beach Chrysler Jeep. Take a look at our current auto service specials, too, and reach out to us to find out more about tire care and basic car maintenance at (843) 286-5870. *Valid on conventional oil only. Up to five quarts. See dealer for complete details. Get 10% Off Service & Accessories! Keep cool and optimize your vehicles A/C performance. Includes: Test your system for proper cooling and operation, inspect hoses and connections for leaks, evac and recharge with dye. We now service all makes and models. Includes: Engine oil and filter change up to 5 quarts, tire rotation and 27 point inspection. Tired of hearing noise or feeling vibration when you brake? Have your brakes inspected. Includes: Visual inspection of pad and rotor surfaces, caliper operation, drums, hoses and connections. Clean, adjust and road test.